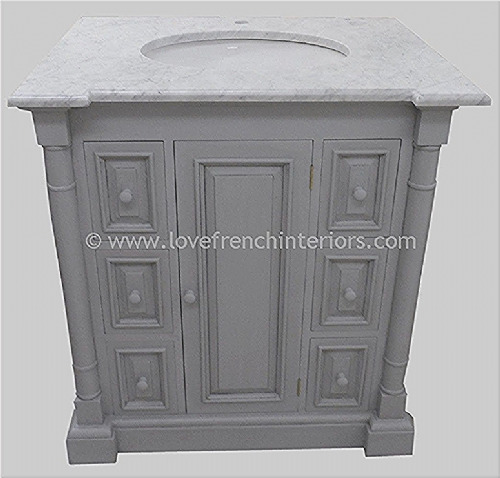 Our Bespoke French Vanity Unit with either a single central bowl (as shown) or with two bowls is hand painted in the UK or it can be made from mahogany and then polished. 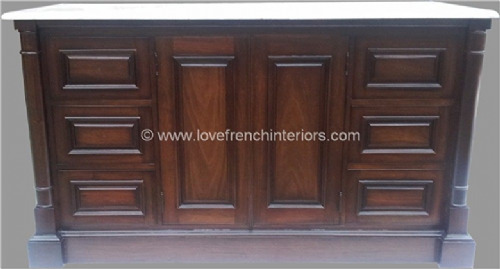 Mahogany wood is essential for a polished finish but we can also have this vanity made from another wood for for customers that require a painted finish - an example is shown. 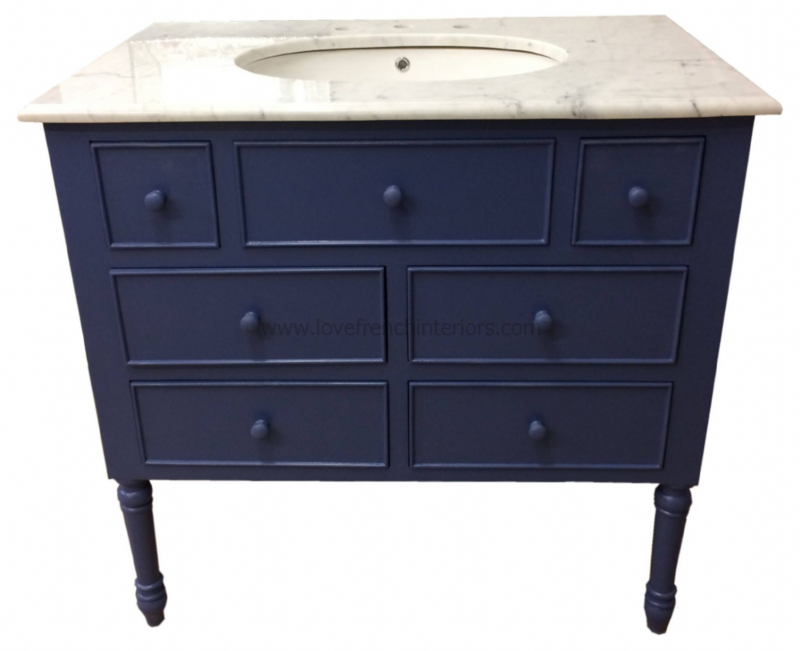 With an elegant style this vanity also has 6 useful drawers offering plenty of storage space. (the top centre drawer is a dummy drawer as the bowl is behind it) Also available in a double bowl version. This vanity can also be made smaller or with two bowls - we can offer full customisation.